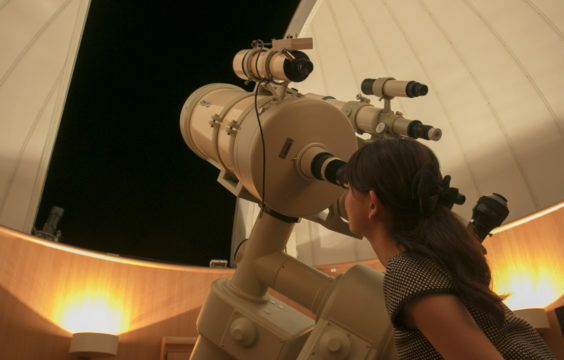 【March in the Observatory】Moonlit nights and the brilliant, wintry shimmer of the stars…come observe the winter skies! 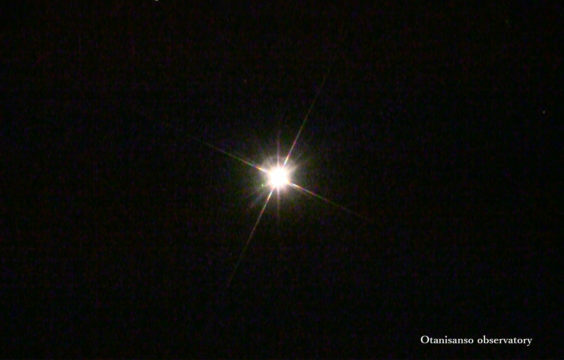 This is the last month that you’ll be able to see winter constellations like Sirius and the Pleiades. 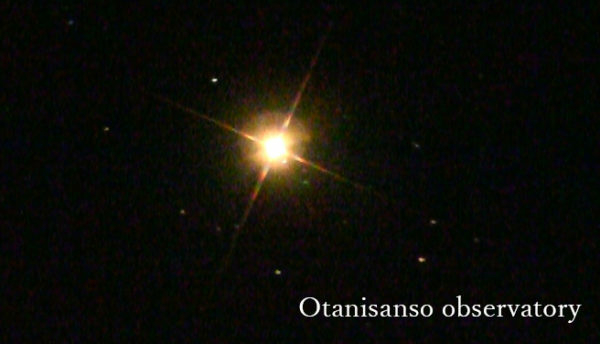 Greetings from the Otani Sanso Astronomical Observatory Dome. The beautiful shimmer of the Pleiades star cluster has given birth to many myths since long ago, including this one: the Pleiades were the seven daughters of the giant Atlas and the sea nymph Pleione (their names being Maia, Electra, Taygete, Alcyone, Celaeno, Sterope, and Merope). Living together in the forest assisting the moon goddess Artemis, the seven sisters were also pursued by Orion. Artemis turned the sisters into doves and released them into the sky, after which they turned into stars. 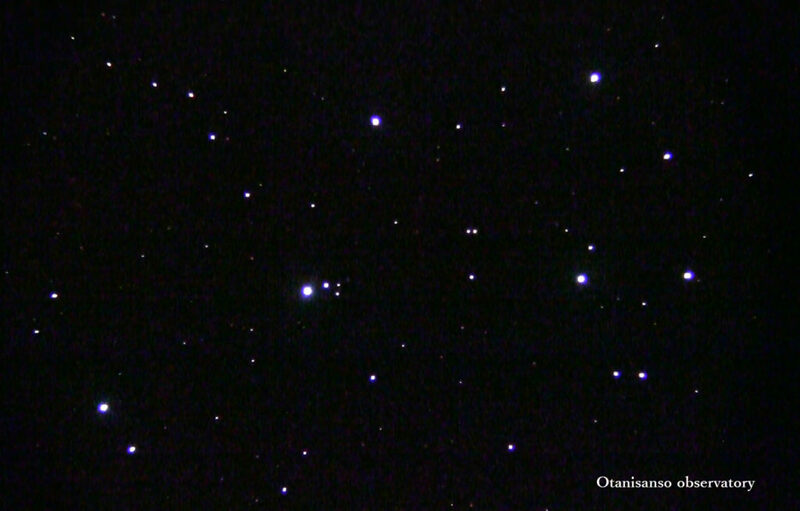 The constellation of Orion can be seen nearby the Pleiades star cluster, almost as if he were chasing them. 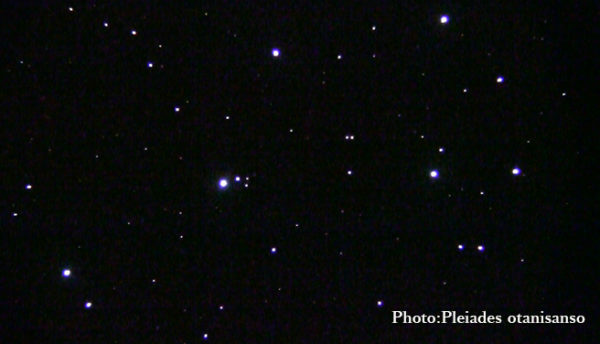 Use this as a hint when you try to find the Pleiades in the sky. *Around the end of March, we will begin to be able to see the spring constellations (the Big Dipper, Leo, and the star Arcturus in the constellation Boötis). Though the nighttime cold has started to lessen, nighttime in the valley is still a bit chilly. We will open up the roof of the astronomical observatory dome to look at the night sky directly through our telescope, so please bring a cover-up when you come to take a look. 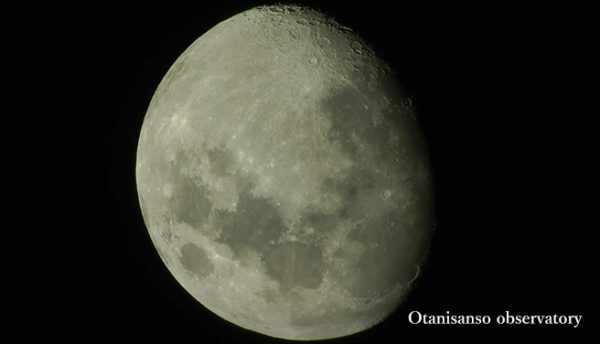 ■"Why is there an astronomical observatory on the roof of Otani Sanso?" Jumbo taxis are available from Shin-Yamaguchi Station (for a fee).